Alas, spring time in Hong Kong seems to be more about the April showers than any hint of sunshine. After three consecutive warm, sunny days we’re back once again to gloomy grey skies, drizzle and downpours (and ever-increasing humidity). I did not flee England for this! Although in fairness, it’s been a snowy spring at home, so I can’t complain too much. Unfortunately, the rain makes me really fed up with Hong Kong. All it takes is a couple of raindrops and everybody whips out their umbrella – and I do mean everybody. Streets become a gridlock, it’s impossible to overtake anyone or move faster than a snail. The pedestrians of HK are people who, at the best of times, cannot walk at a consistent pace or direction nor show any awareness that they share the pavement with others, so rainy weather is just putting sharp, pointy weapons into the hands of inconsiderate fools. Simply getting between home and the MTR station is a daily battle in danger of causing me to lose faith in Hong Kong altogether. So I am in desperate need of some spring sunshine to restore my good faith. 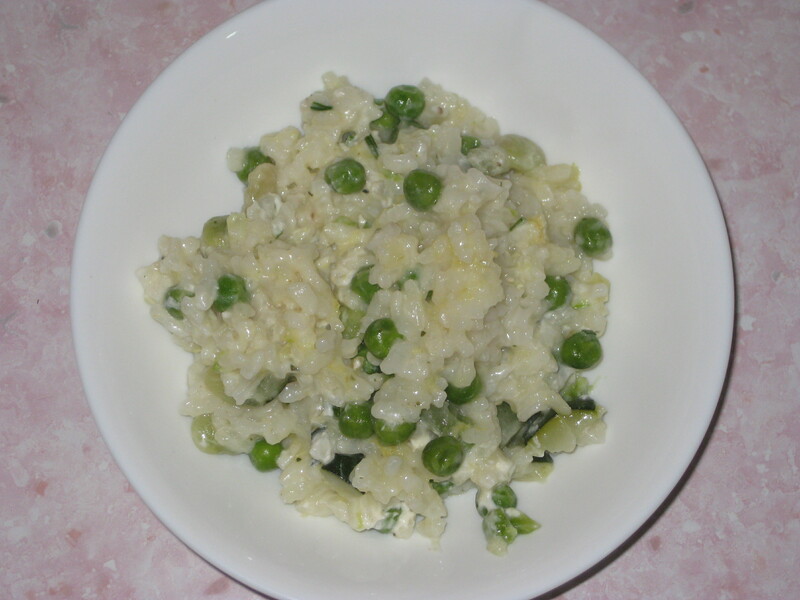 Here’s the ideal spring dish, a lovely, light risotto without the pesky stirring. Now where’s my sunshine? 2. 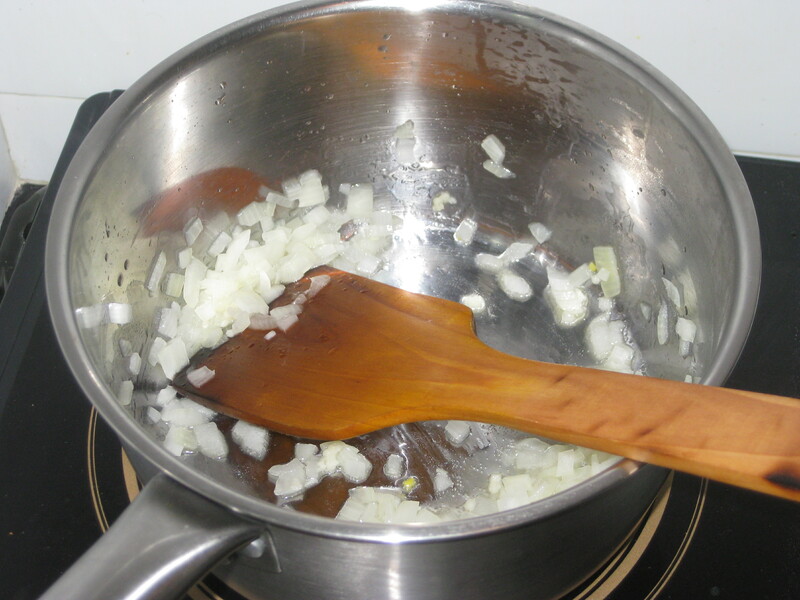 Heat the oil in a pan or flameproof casserole dish, and fry the onion and garlic for 5 minutes until softened. 3. 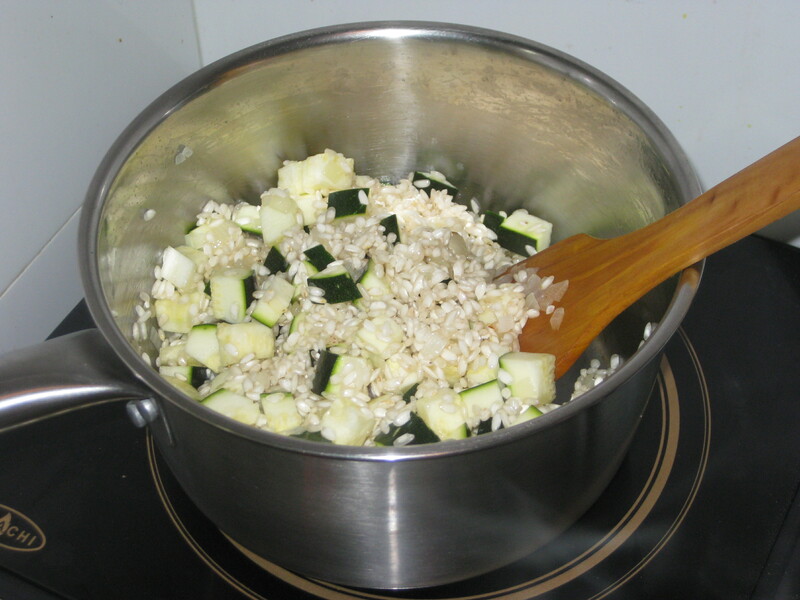 Tip in the courgettes and rice and stir to coat them in oil. 4. 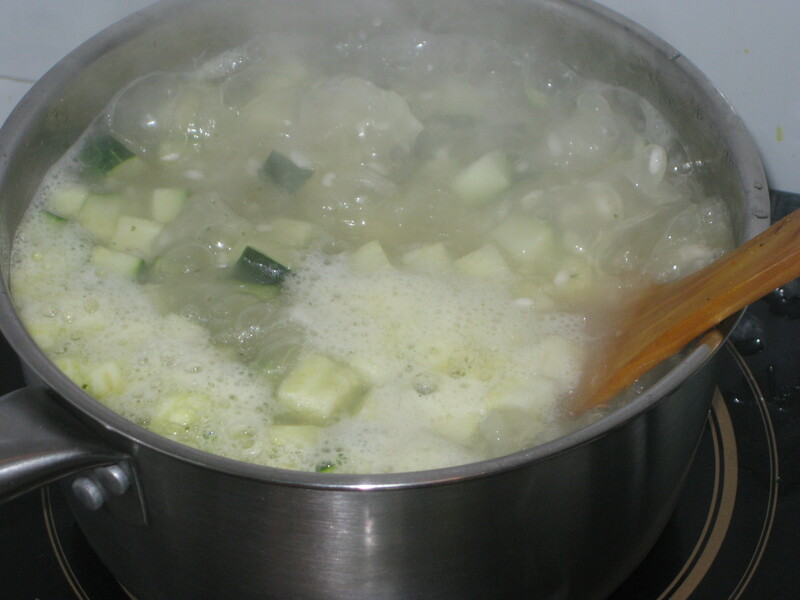 Quickly pour in the stock and bring to the boil. 5. Once it’s boiling, remove from the hob. 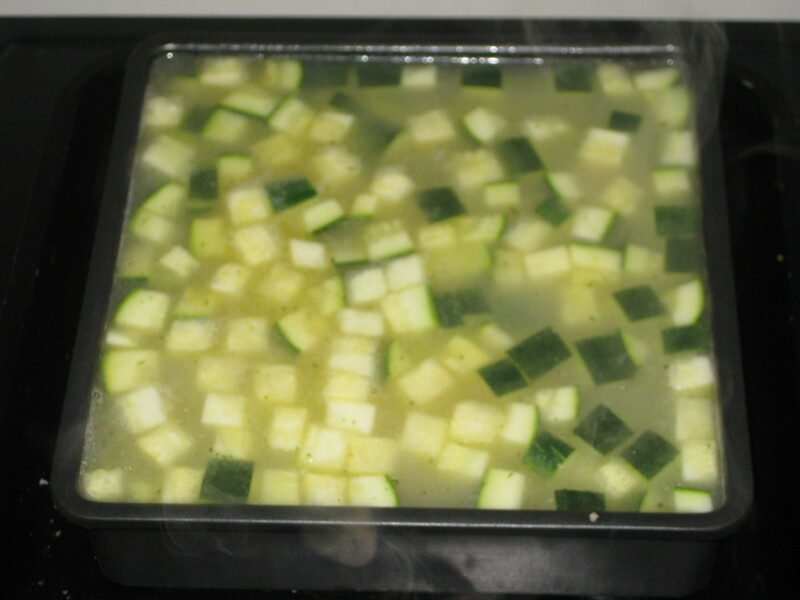 If you’ve used a casserole dish, pop the lid on and transfer it straight to the oven. If you’ve used a pan, carefully tip the contents into an ovenproof dish, cover with foil and put in the oven for 15-20 minutes until most of the liquid has been absorbed. 6. 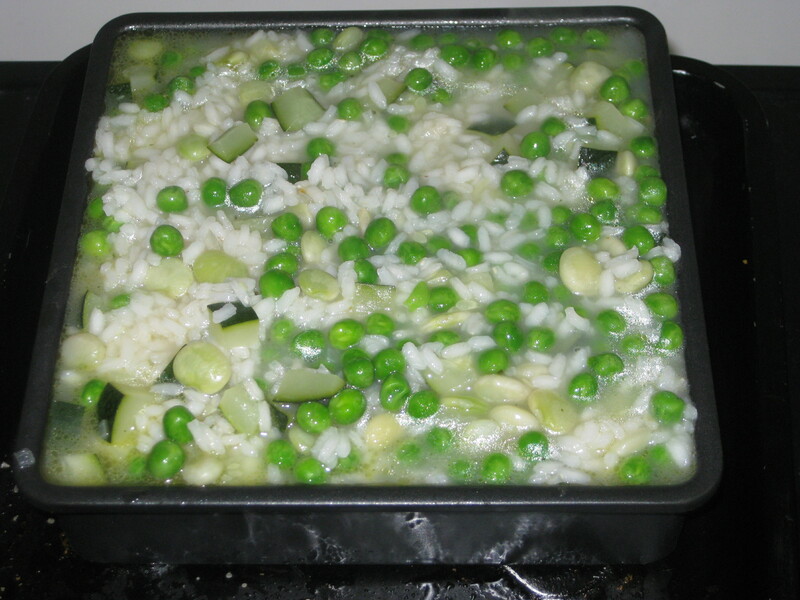 Stir in the peas and beans, and return to the oven for 5 more minutes. 7. 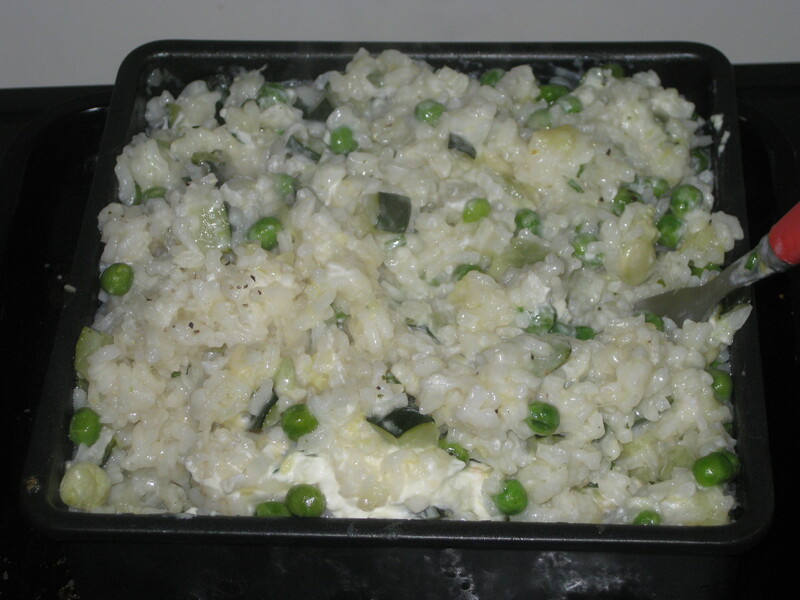 Remove from the oven and stir in the lemon zest, chives, parmesan and cream cheese. Season well and serve. 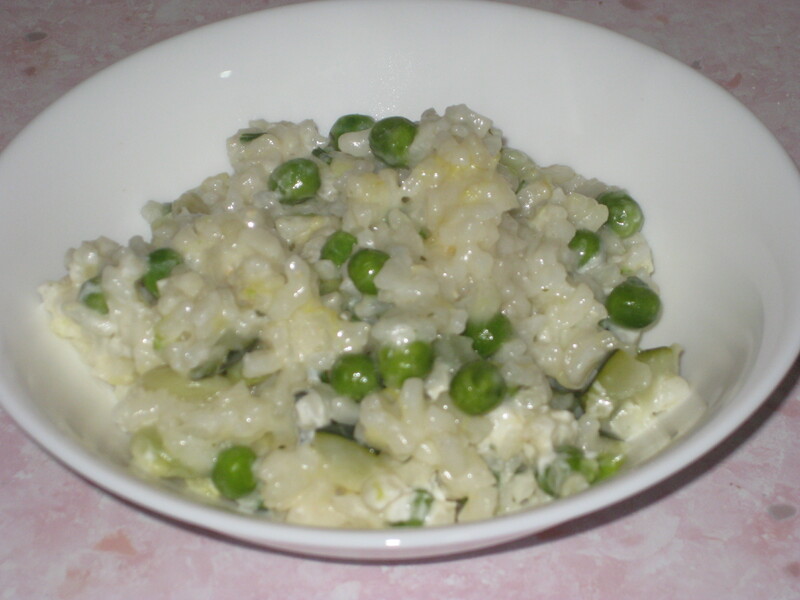 This entry was posted in Vegetarian Recipes and tagged baked risotto, oven baked risotto, vegetarian risotto. Bookmark the permalink.